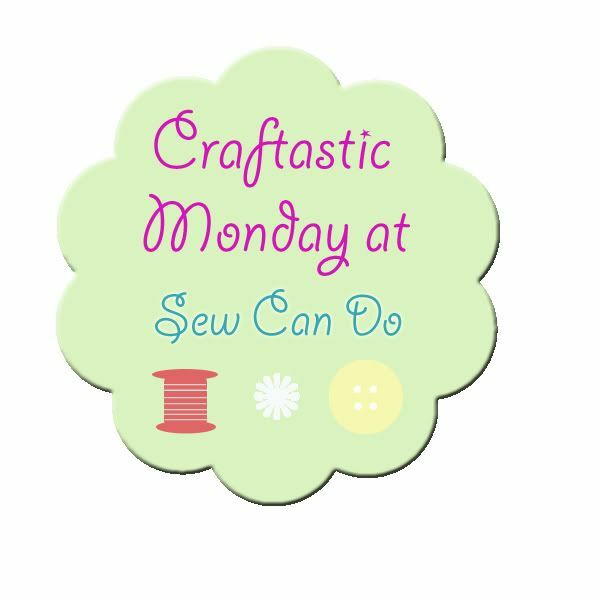 Sew Can Do: Show Off Your Crafts At The Craftastic Monday Link Party! Show Off Your Crafts At The Craftastic Monday Link Party! Hooray it's finally March! I don't know about you, but I am SO ready for this winter to be over and spring to reappear. And what did we get around here as soon as this new month rolled in? More snow and dropping temps. UGH. Enough already Mother Nature. I'm starting to get my spring projects rolling and cannot wait for the outdoors to finally get with the program. Despite the weather setbacks, I'm very excited because this week I'm inviting you all over to my place, via the internet, with a new craft room tour! I love peeking at other people's craft area set-ups, and know my fellow crafties do too, so I'm really looking forward to sharing mine. Muslin and Merlot shared this ingenious art idea - would you believe this design was made using copper molds as stamps? Clever!! If you're one of this week's features, be sure to grab my Featured On button over on theButtons Page to let everyone know. I also feature these projects & more party favorites on the Sew Can Do's Craftastic Picks board on Pinterest AND I share each of them on Twitter too. Follow me there to see more great projects (and see if yours is one of them)! Have a terrific week friend! Hi Cheryl I hope you have a great week and thanks for the party!!! I know what you mean - I pinned them all so I wouldn't have to choose! Thanks so much for hosting! 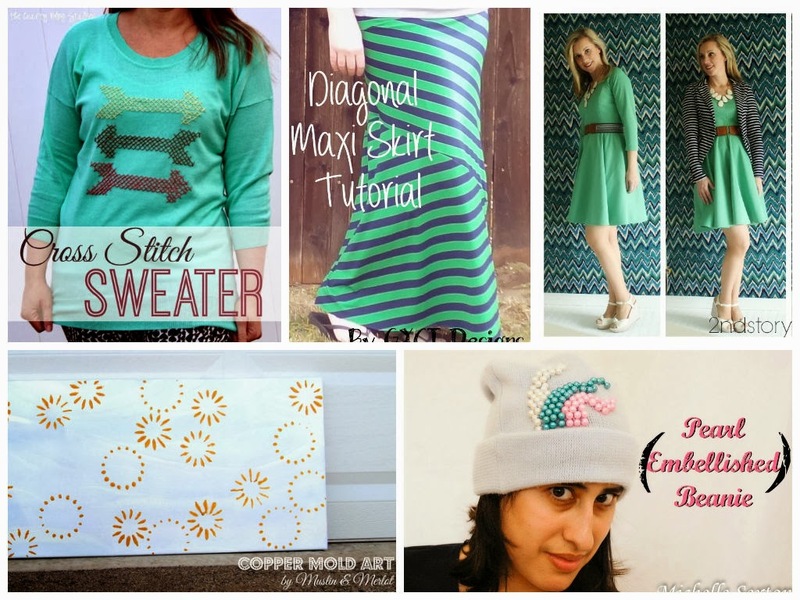 I love this week's favorites, especially the cross stitched arrow sweatshirt! Hope you have a great week! I love your features this week! Have a great week! Thank you so much for the feature! A great way start the day :-) Thanks for hosting! 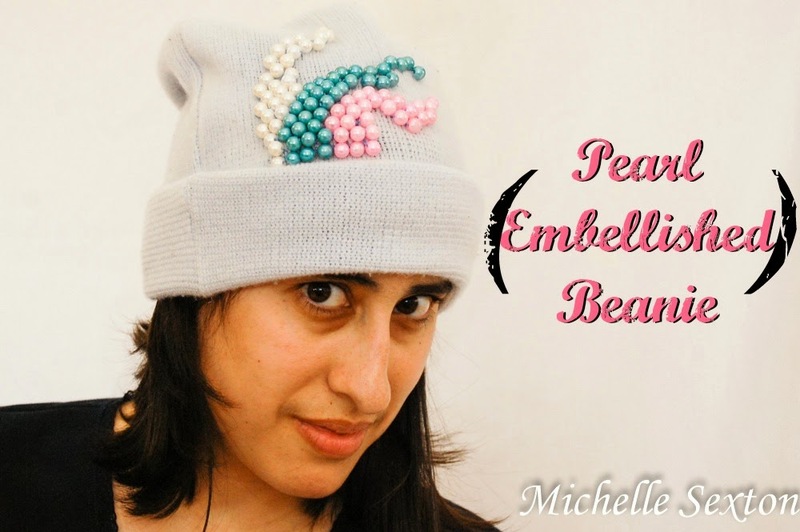 Thank you for featuring my Cross Stitch Sweater! I love your party and wouldn't miss it! Thanks for being one of my favorite regular linkers Katie. I'm always glad to see you here! I hear you Hannah - we're in for another cold week and I'm all wintered out. Here's hoping it's over soon! I hope you have a great week! Thanks for letting us share our craft projects and ideas for the week!! I made sure to link up my recent posts!